Overly complicated promotions have recently aroused complaints among Chinese customers as the annual online shopping spree on Nov. 11, which is also known as “Double 11”, approaches. What started as a sort of “anti-Valentine’s Day” celebration for singles in China has turned into the world’s biggest online shopping day. Last year, online transactions totaled 120.748 billion yuan ($18.17 billion) within 24 hours on the shopping platform of China’s largest e-commerce company Alibaba, a record amount in global retail for any single day, according to data provided by Alibaba. 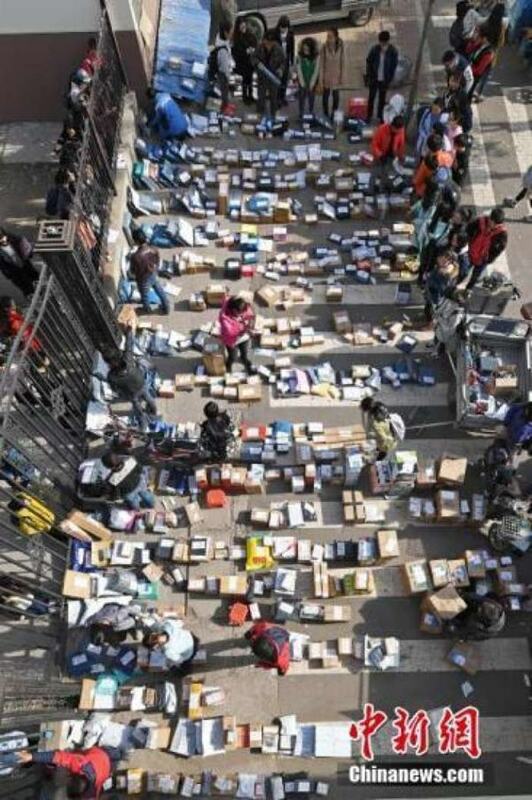 China is expected to see a billion packages during the 2017 shopping spree, which will be a huge pressure on the country’s courier companies. However, many customers hesitated in front of the overly complicated promotion ideas this year, such as prelaunch, money-off, and price protection policies. Some of them complained that direct percent-off discounts are rare nowadays, and they have to spend hours on studying the different promotion methods. Some joked that you got to be a math talent if you want to participate in the shopping spree. For instance, customers are not able to combine their orders to get the maximum discount when purchasing the prelaunch goods. A woman surnamed Wang had separated all three of her items into three different orders so that they would not be considered add-on purchases and she was not able to get the most preferential offer. Merchants have set a number of restrictions on coupons. Some are exclusive for prelaunch items, while some others are designated for specific products, models, and even colors. Red packets, or hongbao, the monetary gift issued by merchants to customers as a way to encourage consumption, has also been classified into various categories, which is confusing to customers. It is noteworthy that 62% of the complaints received by the National Development and Reform Commission during the online shopping spree last year were related to false advertising and untrue promotions, including discount restrictions, unfulfilled promises, and price protection failures.